From the years of gathering job market data here at UpDoc Media… the talent surveys, our Amazon Best Selling Physical Therapy Industry Prospectus, and even in the launch of HIYER — we found one thing consistently important to all… regardless of the size, setting, or specialty. What is this one thing? Culture. CULTURE is the #1 reason why people apply for a company and stick with that company. So, with that, let’s get straight to…! Let’s. Be. Honest. Most companies don’t have well written roles and responsibilities that rewards excellence. More likely than not, job descriptions and the employee handbook are written in a fashion that discourages the bad, but doesn’t necessarily recognize the good. Perhaps an even better perspective on the matter is that most positions are simply rewarded for not rocking the boat by adhering to minimally satisfactory human resource (HR) requirements. The result, though primarily unintentional, is obvious: Mediocrity is rewarded. Reward excellence. Truly reward it! I can guarantee you will see a renewed sense of purpose, team cohesion, and company morale. Oh, yes… I can also promise that the few that you may want to coach up or performance out — they’ll make themselves known, right away. A curious thing happens throughout the healthcare industry, especially in clinical management: We promote our best clinicians, our most technically savvy providers — and, we force them to work in administrative positions of management. Now, it’s not a bad thing for high performing providers to be elevated into supervising roles — that’s not what I’m saying here. But, what I *am* saying is that most clinically savvy providers aren’t trained nor interested in business administration. You might be asking yourself: If not my best clinician, who else would I promote? The answer doesn’t not actually lie in who you promote, but HOW and WHY. I’ll be talking more about this during my talk at NARA’s Fall 2018 Conference. Suffice to say, the solution is actually a renewed outlook on organizational behaviors and the structure of management. Clinical practice management and supply chain (operations) management can and should be crafted in a synergistic, but ultimately, parallel ladders of command. By doing so, you have the best clinician responsible for managing up patient care; and, you have the best operational manager responsible for supervising departmental efficiency in service production. Actually supporting it. Not just encouraging conversations about new ideas or paying it lip service. Actually supporting innovation through actionable sponsorship with your time, resources, and people. Ultimately, for the purpose of this blog post, I will simply give you the summary version: If you truly want innovation to thrive, I highly recommend considering creating parallel channels to dedicate actual support and reasonable resources to pilot and test new ideas; to open up new hire leadership programs to groom the right people and make them ready when the time is right, rather than trying to find the right people when the time suddenly comes; to create junior partnership tracks; to be open in discovering and implementing new, better, more effective and efficient ways of operating the business — resolved to pursue new excellence no matter who this may offend or which toes are stepped upon. For many companies, marketing is all about new user acquisition (aka new customers) and user retention (customer loyalty). While this is all well and good, to sustain such level of business and growth in a service oriented industry, you also need to have the right people in place. Attracting the right talent requires you make available the right content to attract the right person at the right time. It means you must be transparent about your hiring process; and, transparent about the realities, expectations, and opportunities for growth within the organization. Doing this means your company will elevate its culture not through the traditionally desired attributes of success… but, but going to the science of who is successful and why. 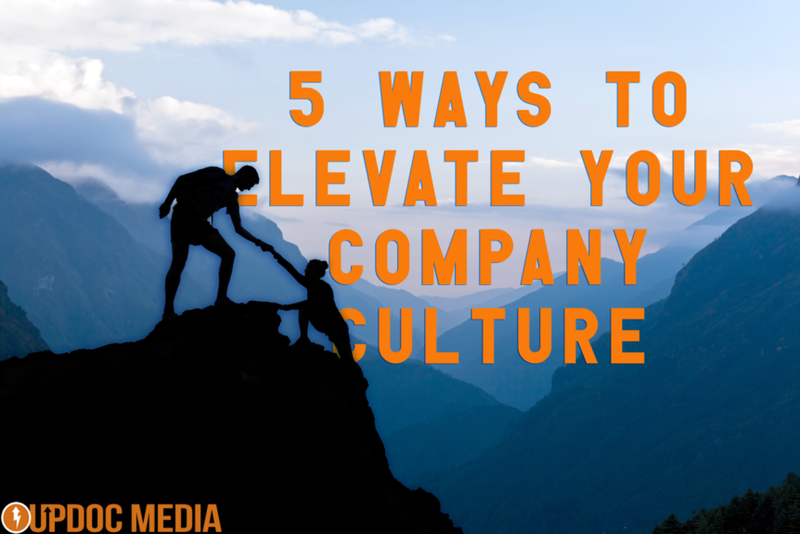 Want to elevate your company’s culture? Create a marketing strategy around your company’s employment opportunities for hungry, GRITTY people. Once again… let’s be honest. Who do you pay most in your company as a licensed healthcare provider? Now, think upon their junior — someone who is newer, has less years of experience… all things being equal, does their license merit or realistically capture any LESS measurable revenue? If not, why are you paying them so much less than their senior? Is it just purely because of experience? Or, does the senior truly contribute MEASURABLE value — be it via intangibles, through brand equity, or something accounting can appreciate? Most companies that are honest about this situation will say, “we pay for experience”… and, more importantly, they pay for loyalty. There is certainly value in loyalty. However, experience alone doesn’t yield excellence. And, as a commentary: Payers certainly don’t pay more for longer lived clinical practices. So, in the same vein, elevating your company’s culture requires that your organization intentionally markets for top talent, AND, creates both the intrinsic motivation and extrinsic incentives for them to join and stay. The truth is this: Student debt has entered pandemic proportions; experts have even identified this issue as threatening the health and fabric of the profession. Most prospective candidates, despite this reality, are quite understanding in getting paid less due to “being new.” However, something they will NOT flex on is culture. Culture is one of the six dimensions of a compensation package. And, believe it or not, your current employees and prospective candidates will absolutely stick with you — through thick, and thin, and to the end — IF your entire compensation package reflects a more competitive whole… even when direct pay out may be less than another employment opportunity. This is because you can offer applicants better in the facets of over all company culture, benefits, perks, work-life-balance along with a low stress workplace, and, in growth opportunities. And, sure… if you are able to pay more — awesome. Go do that. But, don’t just let it lay their as an assumptive statement. If you have hungry, gritty applicants… they want to earn more by doing more.The right people who will help you cultivate the right type of company culture don’t expect blank and meritless raises. No! They want to earn it. More importantly, they want to help others earn it because they understand when the company wins, everyone wins… and, it takes the whole team to move forward in unison in order to make for a winning company. INTERESTED IN MORE CONTENT ABOUT CULTURAL EXCELLENCE, TALENT ACQUISITION, OR BUSINESS OPTIMIZATION? CHECK OUT THESE ARTICLES! HIYER: A relationship focused job market connection.